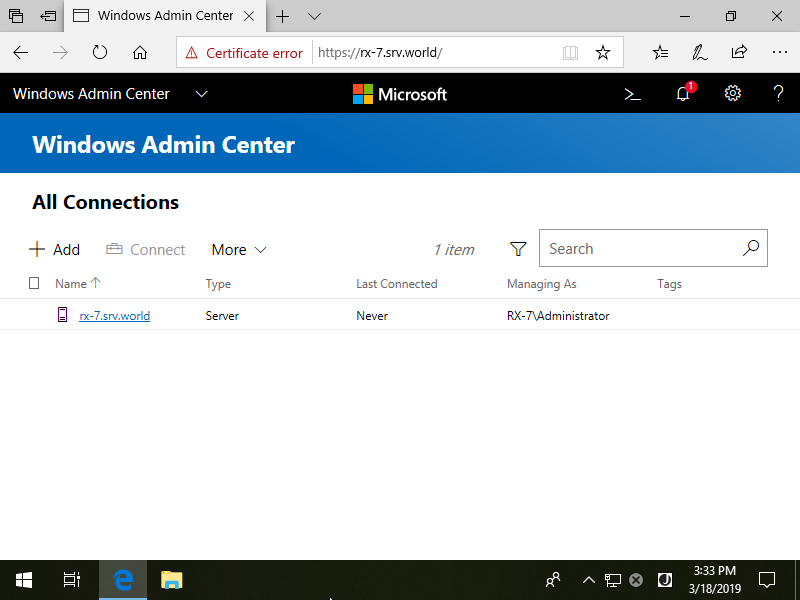 Connect to Web Admin Console of Windows Admin Center from Client Host. 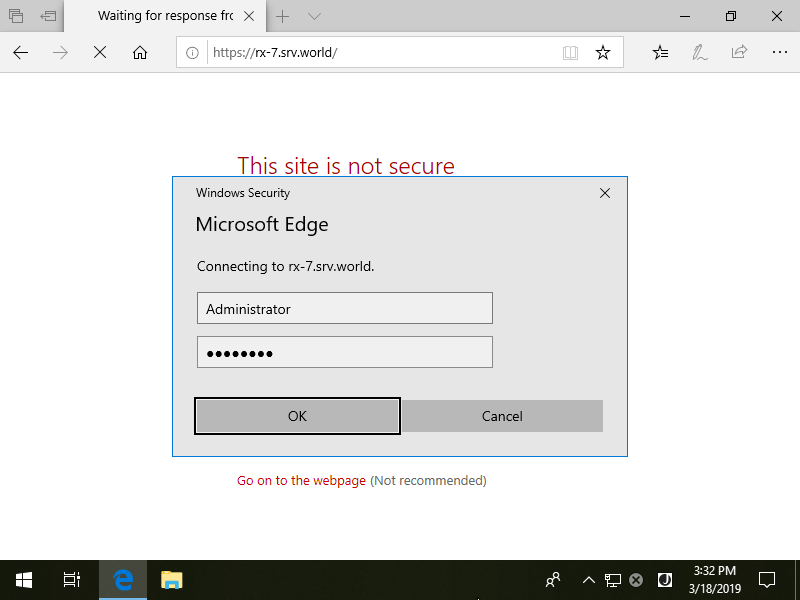 Run Web browser and access to [https://(Windows Admin Center Hostname or IP address)]. Then, authentication is required, input any user who can access to Windows Admin Center Host. 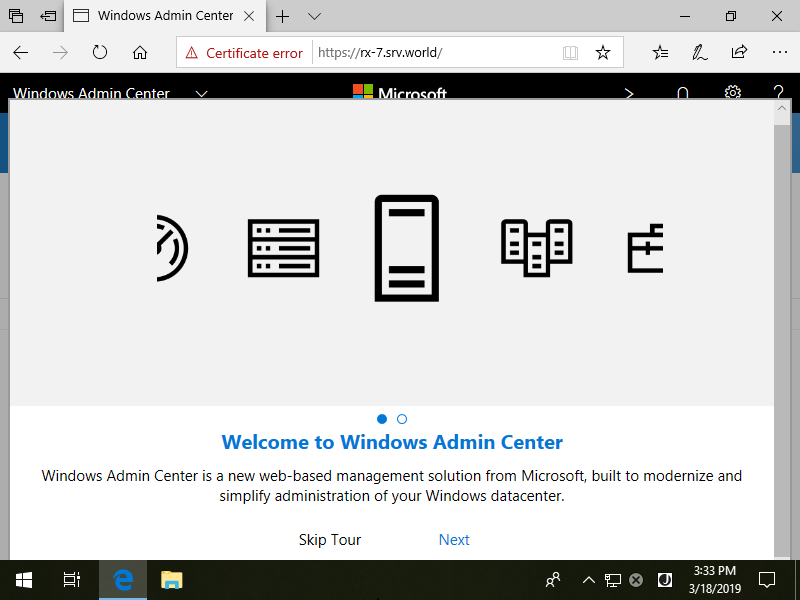 After logon successfully, Windows Admin Center Welcome page is shown. 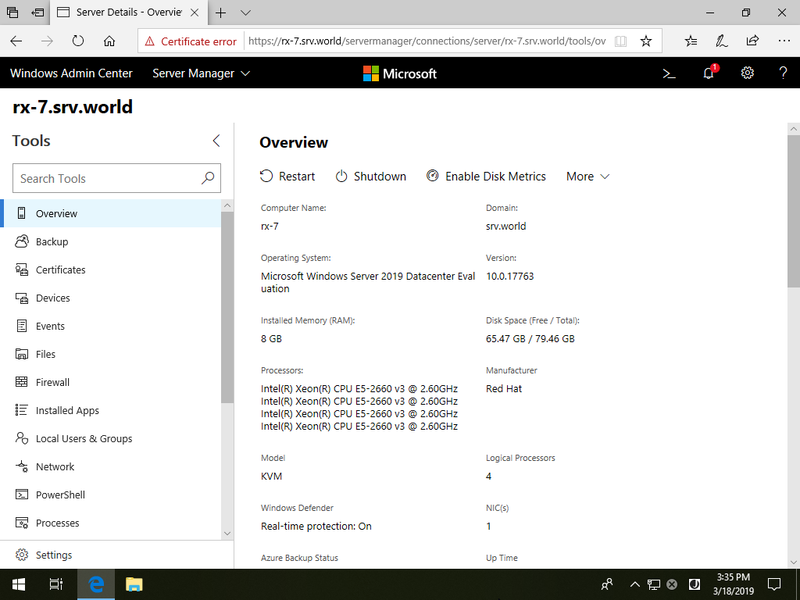 After finishing Welcome page, Windows Admin Center default page is shown and target Hosts are listed. When click a target Host, it's possible to see status or modify settings of the Host.